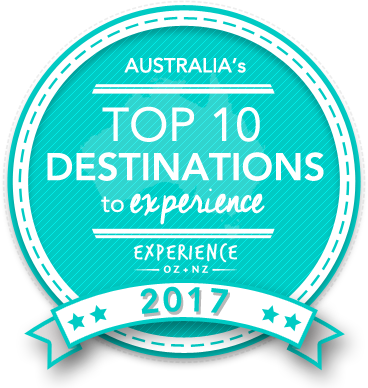 Vote forMoreton Island, QLDTop Island Destinations Which are Australia's must-visit destinations? You help us decide. It's not every Australian capital city that can boast having an escapist island paradise just offshore, but Moreton Island, which lies 25 kilometres off Brisbane, is exactly that. Providing a cavalcade of nature-based activities and fun in the sun in return for relatively little investment, Moreton Island and its prominent Tangalooma Island Resort complex offers a bevy of things to do suitable for the whole family. Whether on the sand or in the water, if you're looking for outdoor entertainment Moreton Island is the place to start. Why it's special: Beautiful island just off the coast of Brisbane & home to the famous Tangalooma Wrecks, which provide great snorkelling opportunities. This large, lagoon-dotted and wildlife rich island is a hub for activities which can be reached via a one hour cruise from Brisbane with ample wildlife spotting opportunities along the way. Located within the expansive Moreton Bay Marine Park, this is a seascape that's home to a number of aquatic species such as dolphins, sea turtles and even dugongs that are at home in its sea grass and reef environments. As a result, when making the cruise over from Brisbane it's not uncommon to see pods of dolphins playing in the water or the dark and ascending shadow of a sea turtle coming up for air. Once on the island itself, the variety of opportunities for both active and relaxation activities opens up further as the likes of ocean kayaking, stand up paddling, fish feeding and more are all viable options here. A particular highlight is snorkelling amongst the Tangalooma shipwrecks which lie a short distance off shore, and are the main drawing cards for visitors to the region. You'll often see large groups of visitors navigating their way through the hulls and viewing both the structure of the wrecks and their resident marine creatures. While many of these can be done independently, should you have your own vessel and knowledge of the Island's layout, the majority of activities are based out of the Tangalooma complex which offers the choice of both land and water based entertainment. Dolphin feeding is perhaps the most iconic of these, with guests getting the chance to hand-feed wild dolphins that approach in the shallow waters. Other water activities such as parasailing, scuba diving, and various cruises can also be undertaken from Tangalooma. Those looking to stay on shore during their Moreton Island adventure will be spoiled for choice, as the innards of the island have plenty to offer as well. Largely dominated by National Park and draped in greenery, much of the island can be explored via 4WD including the massive sand dunes which are a popular feature for visitors. Here, taking part in tobogganing down their sides is a slice of fun that everyone can enjoy, while the island also offers a number of scenic walking and hiking trails of varying lengths and difficulty levels. Moreton Island's convenient location makes it easy to do as part of a day trip from Brisbane, however on-island accommodation and camping are both viable for extending the experience and reducing the rush, allowing visitors to soak in all of its highlights over multiple days. This natural getaway combines the best of adventure, thrills and relaxation all in a highly accessible spot, and as such, is an essential itinerary item in south-east QLD. Looking to pay a visit to Moreton Island but not sure what to do? Here are some of the most essential experiences. Need more info on Moreton Island? Check out our detailed travel features on this top spot below. More than just a marine-focused destination, Moreton Island provides a number of shore-based activities as well which - when combined with its stunning marine surrounds - make for a wonderful overall itinerary. We look at 5 must-do experiences here. Is Moreton Island Australia's Top Island Destination to Experience for 2017? Vote now for the chance to WIN an epic trip to one of Australia's top destinations!